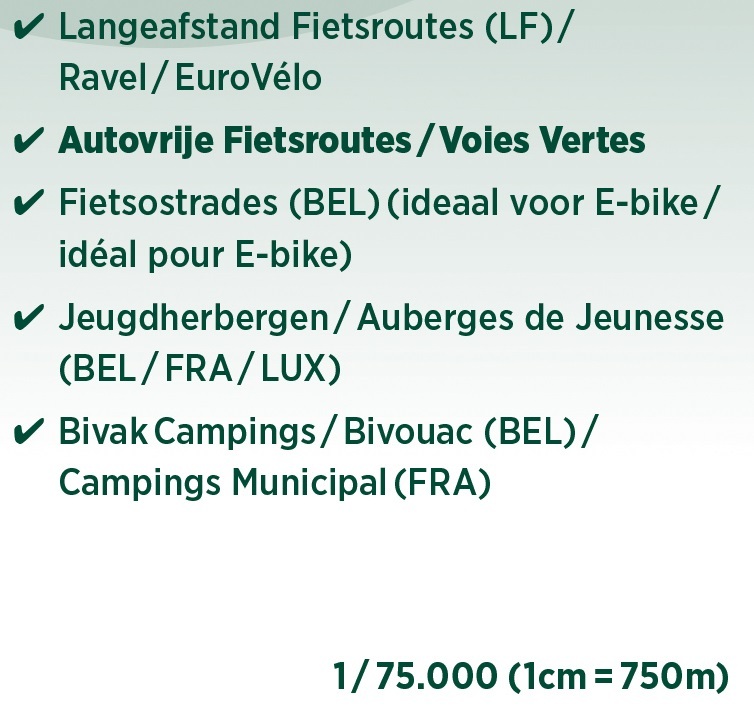 Alta Via's topographical cycling maps emphasize car-free cycling routes or the so-called Voies Vertes(Green Routes), a cycling network that runs through Belgium, Luxembourg and the North of France. All LF and Ravel cycle routes are included, supplemented with old railways and towpaths that have been transformed into bike paths. 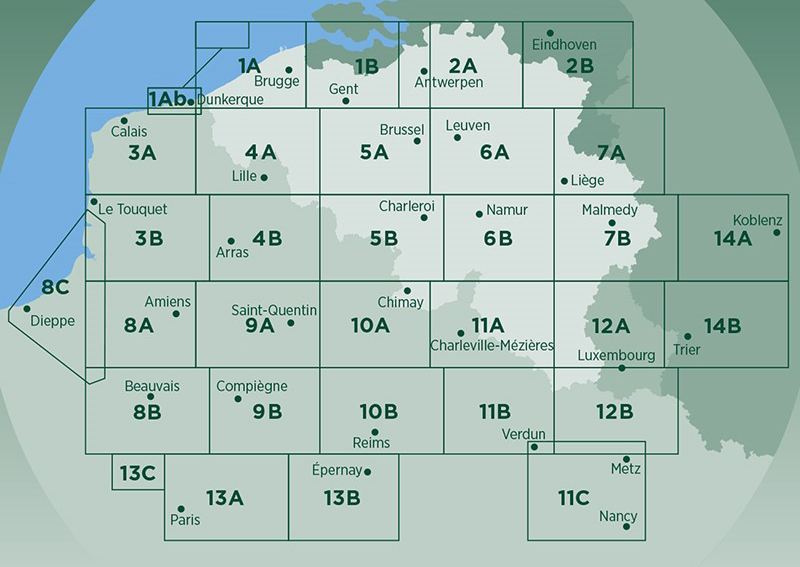 The map also lists all youth hostels, bivouac areas, trekking huts, etc.